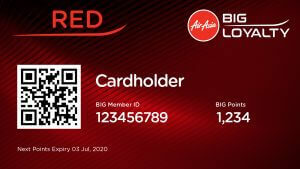 AirAsia has recently revamped its AirAsia BIG loyalty programme. The aim? To reward its loyal customers for making it the World’s Best Low-Cost Airline nine years in a row. Being a complete overhaul, we wanted to discover if it really lives up to its brand promise. Here’s everything you need to know about the new Freedom Flyer Programme. What is the Freedom Flyer Programme (By AirAsia BIG)? 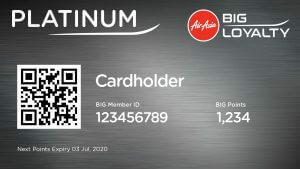 Powered by AirAsia BIG Loyalty, the Freedom Flyer Programme (FFP) is based on a unique membership status system determined by how often you fly. Essentially, the more you fly with AirAsia, the faster you will move up the membership status and the more AirAsia BIG Points you can earn. Therefore, this isn’t about converting your RM into AirAsia BIG Points like the previous loyalty scheme was built on. It truly takes on a “customer-first” approach by rewarding you for your loyalty regardless of how much you spend. Your continued patronage is more important to the low-cost airline and I like that approach! After all, companies don’t get to where they are without their loyal customers. The airline says it makes becoming a member easier, it’s free for life, you can earn points faster, your loyalty is better rewarded, and BIG Points can now fly you further. Does it really though? Let’s take a look. The FFP takes into account your flight activity in the previous 12 months. Based on that, you will fit within one of the four membership statuses – Red, Gold, Platinum, Black. Here’s a breakdown of each status and it is based on the number of one-way flights you have travelled on. For example, the Red status means you have flown 13 (or less) one-way flights in the last 12 months. If you’re a frequent flyer and often take AirAsia for flights in Malaysia, this should be easy! And if you want to upgrade yourself to the Gold status, you need to ensure you travel between 14-23 one-way flights in the last 12 months. We like how the tiered membership is laid out very transparently plus membership upgrades happen immediately once you meet the requirements. This is different from the traditional frequent flyer programmes which rewards you based on how much you spend on the fare, the flight distance, and your membership status. Essentially, if you meet the minimum qualifying flight requirement, you will be rewarded. This generally means the more elite you are, the better your benefits and privileges which leave many of us eyeing the Black members with a bit of envy. However, it seems like AirAsia has done away with this traditional model and has made it an equal playing field for all. There is no ‘social status’ with the FFP and as long as you fly with the airline, you will be rewarded. Anyone can be a member and best of all, membership is free for life. 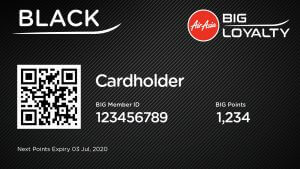 All you have to do is register via the AirAsia BIG Loyalty mobile app or log onto www.airasiabig.com. Long-haul and fly-thru flights count as 2 one-way flights. This means you can upgrade your membership 2X as fast if you travel with AirAsia X and earn even more BIG Points. How do you earn AirAsia BIG Points faster? Let’s get down to what it’s really all about. Many of us just want to earn BIG Points faster so we can redeem free or cheaper flights (excluding airport tax and other fees) and make our travel goals a reality. So, how does this work? Freedom Flyer Programme when you purchase your flights through AirAsia. Co-branded credit card such as AirAsia-Citi Platinum Visa Credit Card and you can read more about that here. Converting your credit card air miles or reward points to AirAsia BIG Points. AirAsia BIG Travel & Lifestyle Partners. BIG Loyalty activities including on-ground events and travel fairs. Let’s first focus on the loyalty programme. Stay tuned for upcoming articles that will go into details on the other 4 ways. For starters, you earn BIG Points for every RM 1 you spend across all four membership statuses. This even includes add-ons such as meals, baggage allowances, Hot Seats selection, AirAsia Premium Red Lounge access and Xpress boarding and baggage collection. Secondly, the higher you sit on the membership status, the more BIG Points you earn for both Low Fare or Premium Flex/Premium Flat Bed flights. Black allows you to earn BIG Points about 6X faster than Red, and the earn rate around 2X faster with each upgrade! The type of fare chosen also has an impact on your earning power. Low Fare flights don’t give you as much as the Premium Flex/Premium Flat Bed, but it’s good to know that when you opt for a Premium seat, you get equally rewarded for it with even more BIG Points. But let’s take a look at a real flight example to understand how this really works. I head over to the AirAsia mobile app and select a return flight for KL-Bangkok. I opt for the Low Fare flights and my total fare adds up to RM501.90. According to AirAsia BIG, here’s the difference in earn rate when you opt for a Low Fare or Premium Flex/Premium Flat Bed category. NOTE: It’s important to note that the numbers stated is the maximum earn rate. This means you could earn less than the maximum within your membership category as it depends on the underlying fare class. For RED membership, for example, you could earn BIG Points between 0.5x to 1.5x per RM1 spend. For this example, let’s take the maximum of each membership tier to calculate the number of BIG Points we can earn. The formula used is: Flight Fare X Earn Rate Based on Membership Tier = BIG Points. If I’m a RED Member, it would be RM501.90 x 1.5 earn rate = up to 753 BIG Points. Even better, if I were to add-on a meal purchase for RM30, the same earning multiplier applies. 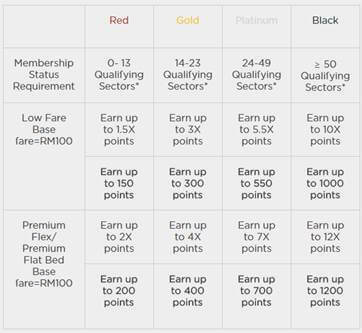 This means that if I’m in the RED, I would earn RM30 X 1.5 = 45 BIG Points. As you can see, the revamped structure does make earning BIG Points a lot quicker and easier. Essentially, your earn rate is applied consistently across all your spending. BIG Points are automatically awarded to your account upon completing the flight. If you miss your flight or are a no-show for any reason, you are still entitled to your BIG Points but the missed flight will not be considered when they review the number of flights you have taken in the last 12 months. Are you truly rewarded for simply choosing to fly with AirAsia more? The airline also promises to reward you with member-exclusive privileges in a way that no other low-cost airline has done. Sound too good to be true? You are first in line for a 24-hour priority redemption to their FREE SEATS campaign. This means you get the exclusive first pick before the campaign is released to the public. You can redeem flights with up to 90% savings during their monthly member-exclusive Final Call Sale (first Monday of every month) and their Final Call Sale X (third Monday of every month). All you need to do is log onto the BIG Loyalty Mobile app or website with your AirAsia BIG Member ID and you’re good to go! It’s the fastest way to get promo flights.Flights are super attainable from as low as 500 BIG Points which can fly you to destinations such as Langkawi, Jakarta, Krabi, or Phuket, to name a few. And if you’re looking at Bangkok or Siem Reap, you only need 1,500 AirAsia BIG Points. It’s all within reach which is great! Unlike other frequent flyer programs that require you to save up points for years and even then, the conversion rates aren’t that enticing.This basically means your AirAsia BIG Points are as good as cash! You get up to 70% savings on flights with your AirAsia BIG Fixed Points that is based on the travel time of your flight. For example, a flight with a travel time of more than 6 hours, such as KL to Melbourne, would cost you 30,000 AirAsia BIG Fixed Points. Whilst a flight of 1-2 hours travel time will cost you 6,500 AirAsia BIG Points. If you don’t have enough AirAsia BIG Points to redeem, with a minimum of 500 Airasia BIG Points, you can top up your balance with cash! You can earn AirAsia BIG Points every day when you spend with any of their partners that includes Agoda or Booking.com, ZALORA, LAZADA, Petron fuel, and even when you shop at the Quill City Mall, to name a few. And you can use your AirAsia BIG Points in any country served by AirAsia including Indonesia, Thailand, Japan, Australia, etc. You are treated during your birthday month with special offers and free gifts. 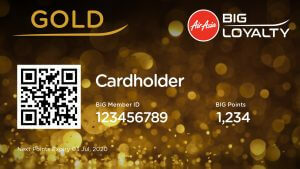 You have easy access to flights and offers via the AirAsia BIG Loyalty Mobile App which also allows you to instantly check your AirAsia BIG Points and provides a detailed breakdown of debit/credit transactions! You also get your own virtual AirAsia BIG Membership Card and will be instantly notified of exclusive flight deals or partner promos. What’s more, you can snap your receipts at Quill City Mall KL or selected partners at Changkat Bukit Bintang to earn AirAsia BIG Points too! 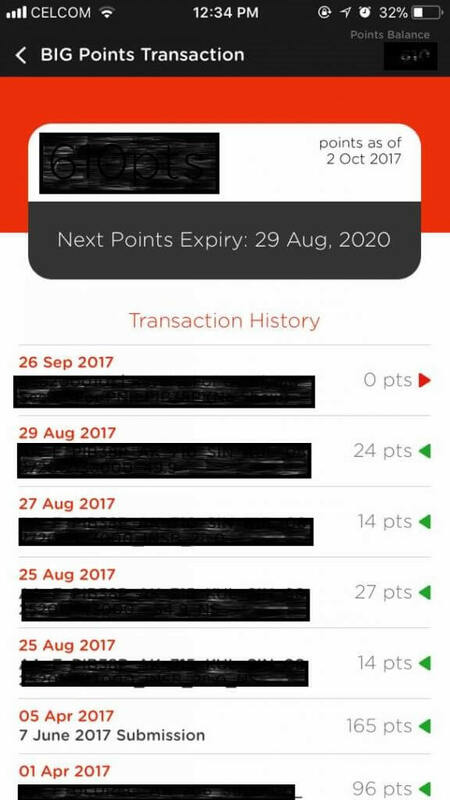 Your AirAsia BIG Points do NOT expire unless you have had zero activity on your account for a continuous period of 3 years (36 months). 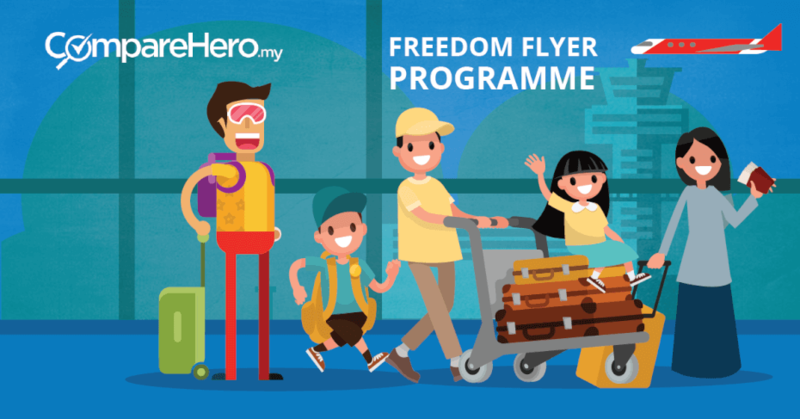 With features like the AirAsia BIG Points calculator and Membership Status Discounts coming soon, we are eager to see how much better the Freedom Flyer Programme can get. But upon the first review, it is a huge improvement and definitely puts customer’s first – accelerated earn structures, flight redemptions with exclusive sneak-peak previews for AirAsia BIG Members, and the opportunity to fly for as little as 0 AirAsia BIG Point. Truly a first of its kind.